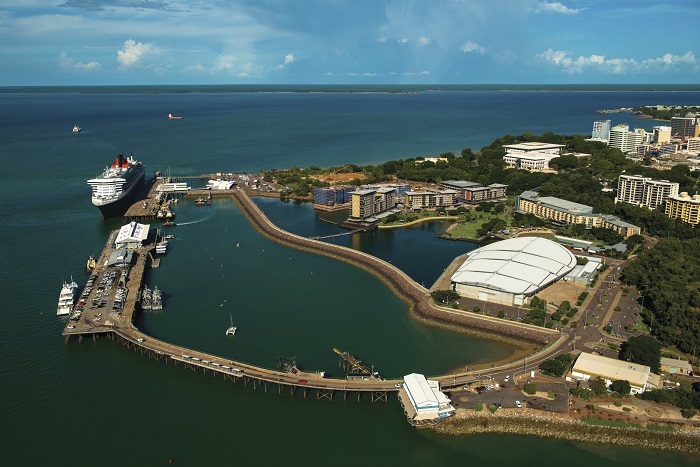 Discover everything Darwin has to offer on this one-day introductory tour of the city. 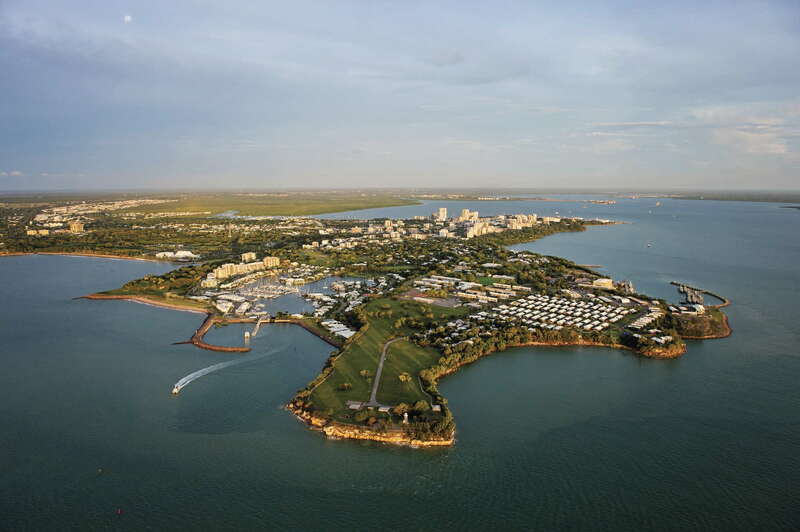 We’ll show you the depths of Darwin’s culture along with its fascinating history and beautiful views. 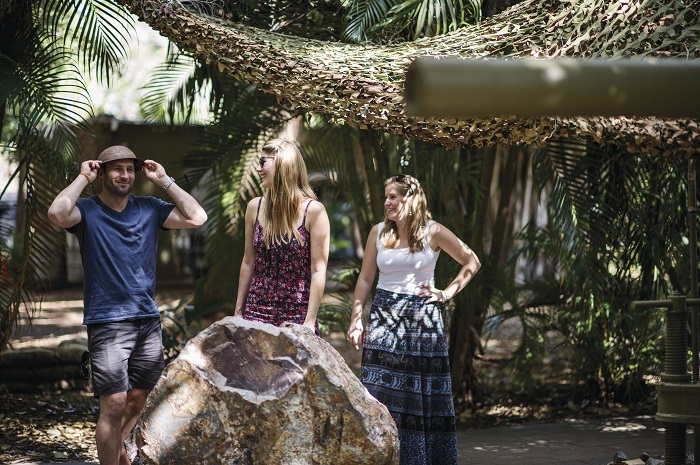 From museums and galleries, to botanic gardens and picturesque streets, you’ll start to get to know this incredible city on the Darwin City Tour. The afternoon kicks off with a tour around town, where your experienced guide will point out iconic landmarks like the Chinese Temple and East Point Military Precinct. 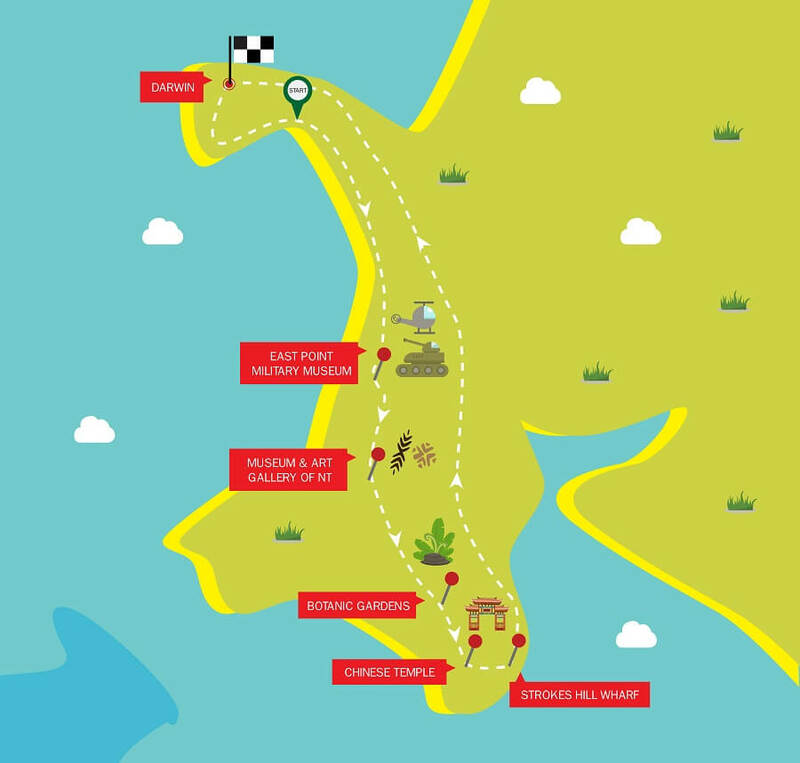 Along the way, you’ll get an insight in to the fascinating history and culture of the region. We’ll then move on to Darwin Aviation Museum, which displays a huge part of the city’s past. 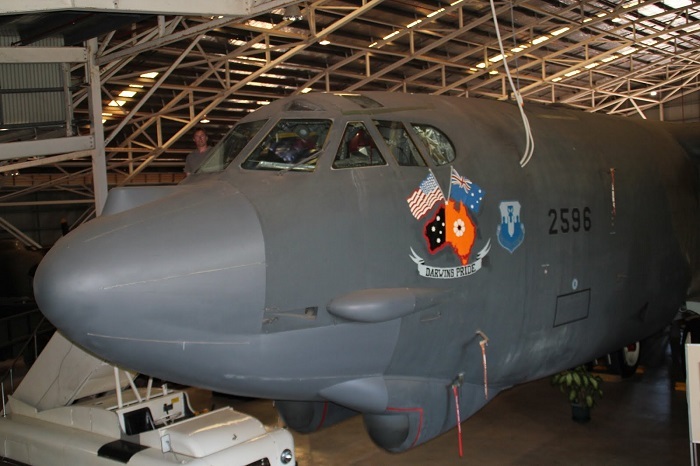 See the B-52 Bomber and watch amateur footage of the very first air raid in Darwin. Original footage from the Japanese archives adds a unique touch as you get to know more about this part of Darwin’s story. Then it’s on to the Museum and Art Gallery of the Northern Territory to learn more about the creative endeavours that have taken place in Darwin. Here, you can browse the works of famous artists in the selection of cultural and scientific collections. 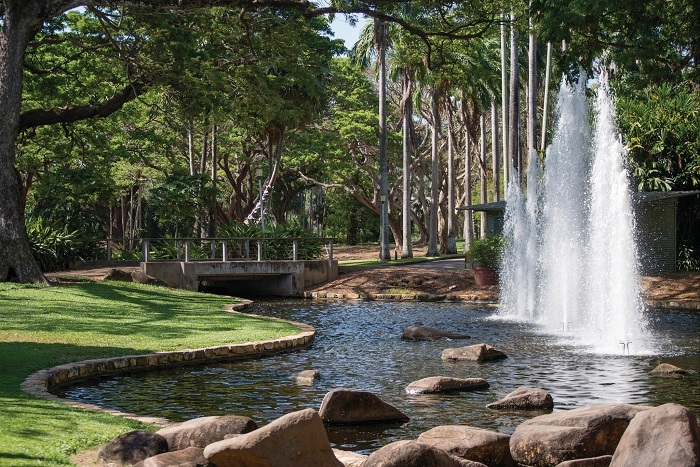 Finally, we’ll head to the Darwin Botanic Gardens, where you can stroll around the manicured lawns and marvel at the stunning selection of plants and flowers on display. 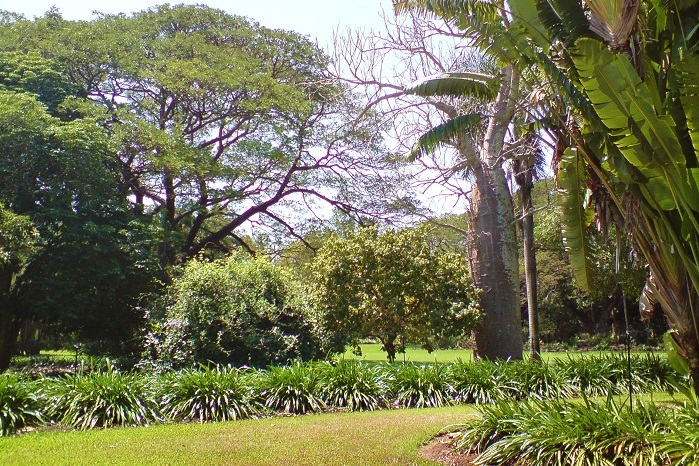 It’s one of the only botanic gardens in the world that boasts both natural marine and estuarine plants. After this, our tour comes to and end, and you’ll be free to dig deeper into everything Darwin has to offer.